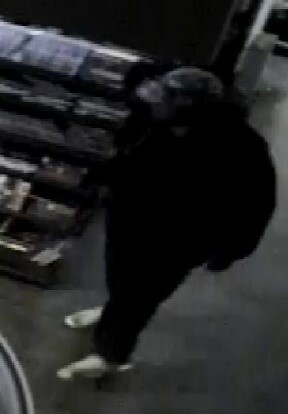 HOUSTON, Texas – The Bureau of Alcohol, Tobacco, Firearms and Explosives (ATF), the National Shooting Sports Foundation (NSSF), the trade association for the firearms industry, and Crime Stoppers of Houston have announced a reward for information leading to the arrest of those responsible for the burglary of EZ Pawn, a federal firearm licensee (FFL) in Houston. ATF is offering a reward of up to $2,500, which will be matched by the NSSF, in addition of up to $1,000 by Crime Stoppers of Houston for a total reward of up to $6,000. On November 30, 2017, at approximately 7:21 a.m., one suspect burglarized EZ Pawn, located at 1991 FM 1960. The suspect stole seven tactical rifles. 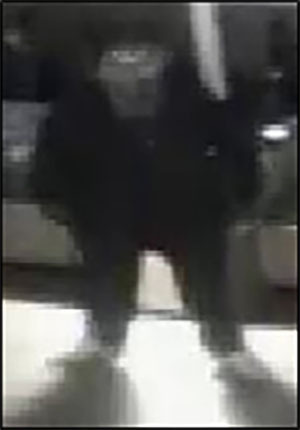 The suspect is described as a heavy set male, wearing a black jacket, a hoodie sweatshirt, dark pants, white tennis shoes, and a multi colored hat. An older black Dodge Ram with tinted windows, chrome door handles, and stock 20” alloy wheels was seen in the area at the time of the burglary. Anyone with information about this crime should contact ATF at 1-800-ATF-TIPS (800-283-8477), email ATFTips@atf.gov, or Crime Stoppers of Houston at 713-222-TIPS. Tips may also be submitted to ATF using the ReportIt® app, available on both Google Play and the Apple App Store, or by visiting www.reportit.com. All calls and tips will be kept confidential.